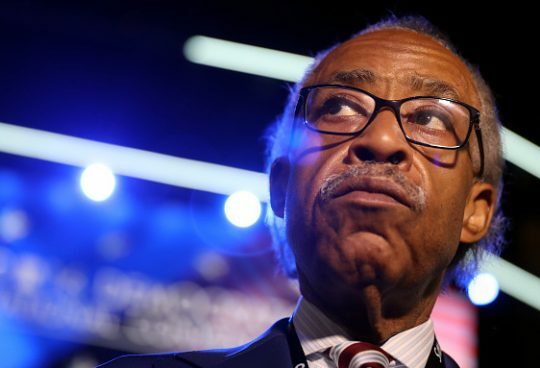 MSNBC host and civil rights activist Al Sharpton said in a new interview he won't rule out a run for president in 2020, adding he isn't currently mounting a bid. "I never rule anything out," Sharpton told BuzzFeed News. A spokesperson told BuzzFeed Sharpton's civil rights organization, National Action Network, is focused on turning out voters for the midterms, where Democrats have their eyes on taking back at least the House of Representatives. Sharpton has hosted MSNBC's "PoliticsNation" since 2011. The show aired weeknights until 2015, when he was pushed to just Sunday mornings. This entry was posted in Politics and tagged 2020 Election, Al Sharpton. Bookmark the permalink.